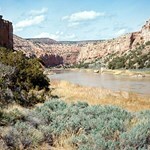 The Big Horn River in Thermopolis, Wyoming is the lesser known sister of the Big Horn in Fort Smith, Montana. 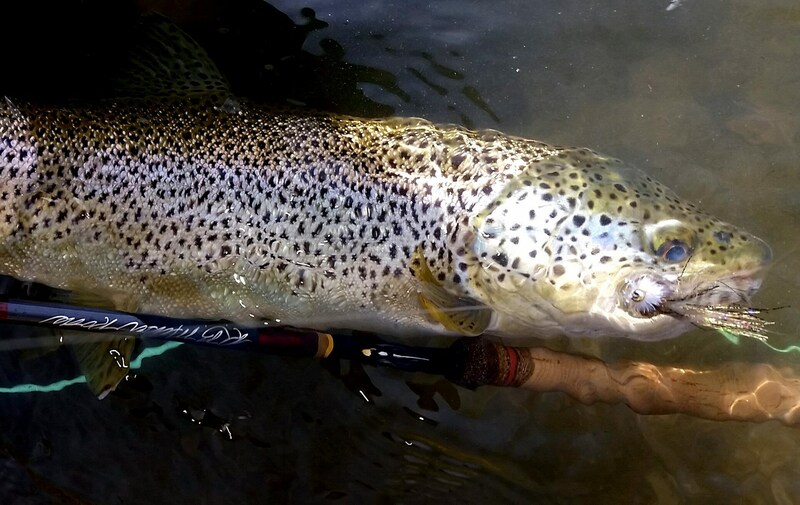 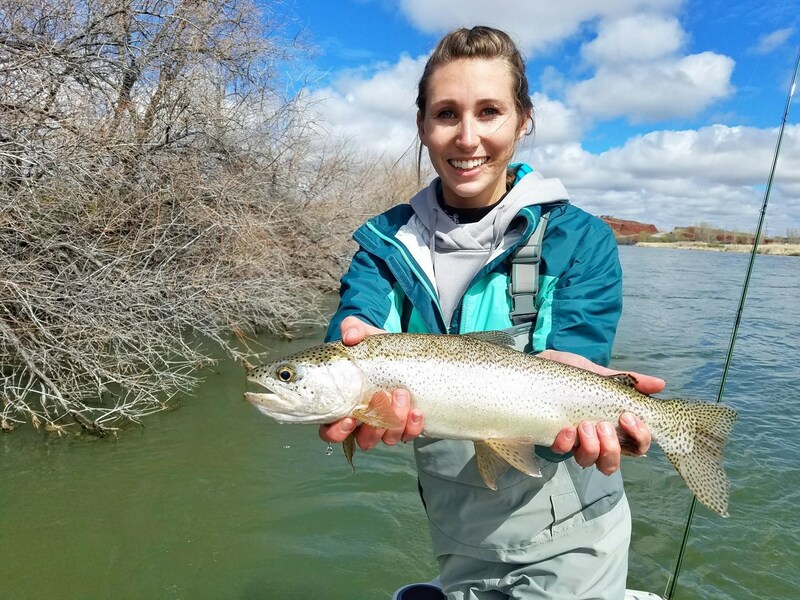 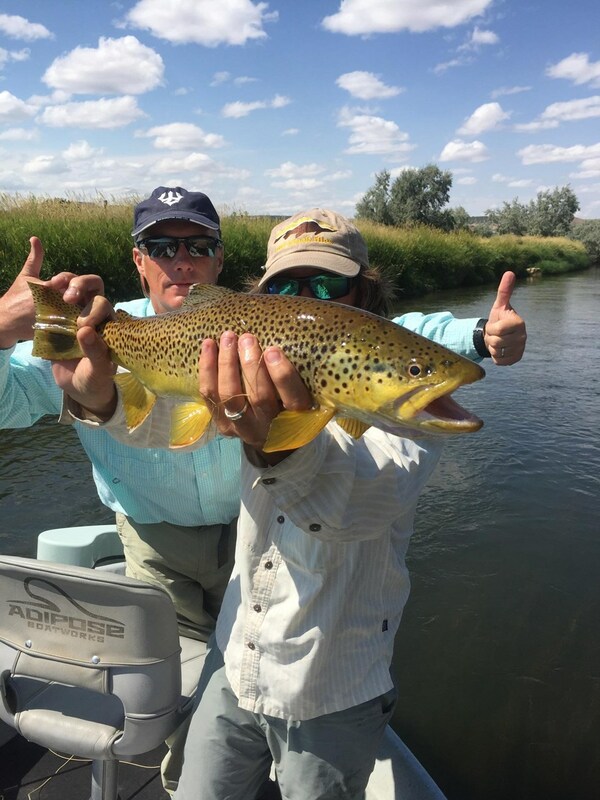 An intimate tailwater which meanders through the farm fields and ranches of the Big Horn Basin, the river hosts Browns, Rainbows and Cutthroat trout. 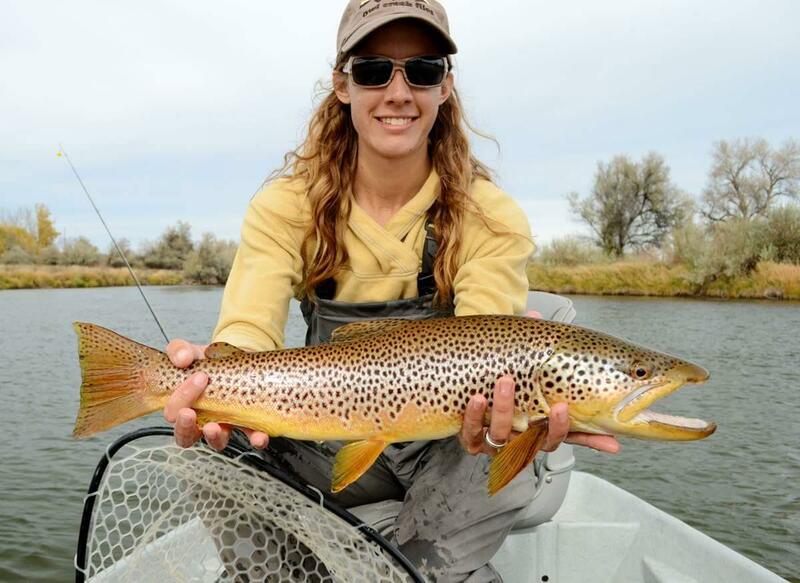 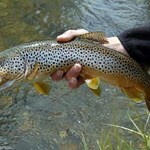 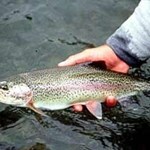 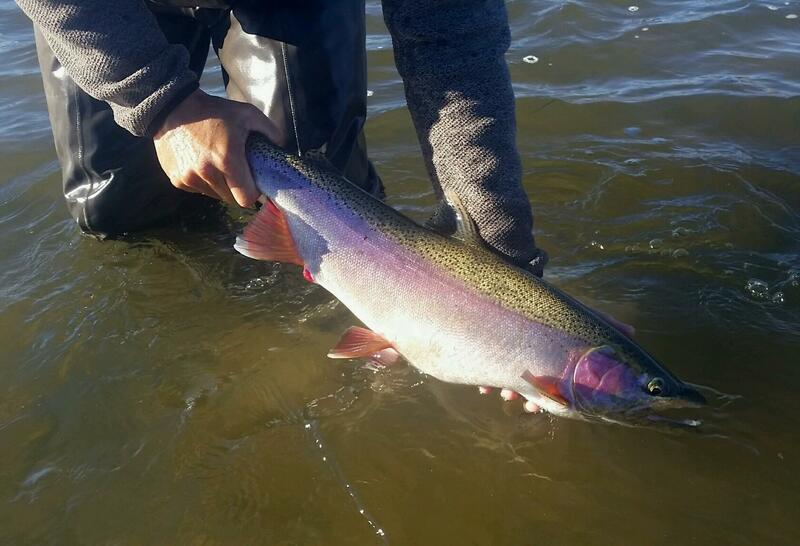 These fish grow large and fight hard, making for fun and challenging fly fishing. 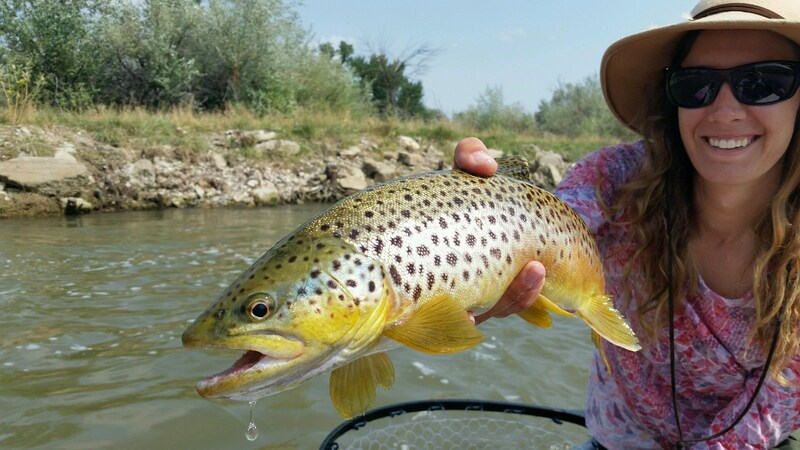 The Big Horn can be an excellent dry fly fishery - if conditions are favorable, trout will readily eat mayflies, cicadas, grasshoppers, crickets, ants and stoneflies during sometimes prolific hatches. 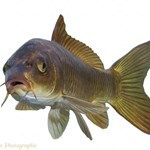 Of course what happens on the surface is only part of the story. 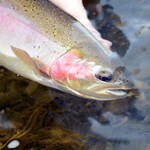 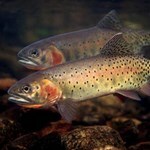 Trout fodder is abundant in the Big Horn, and often the best way to find fish is to go subsurface. 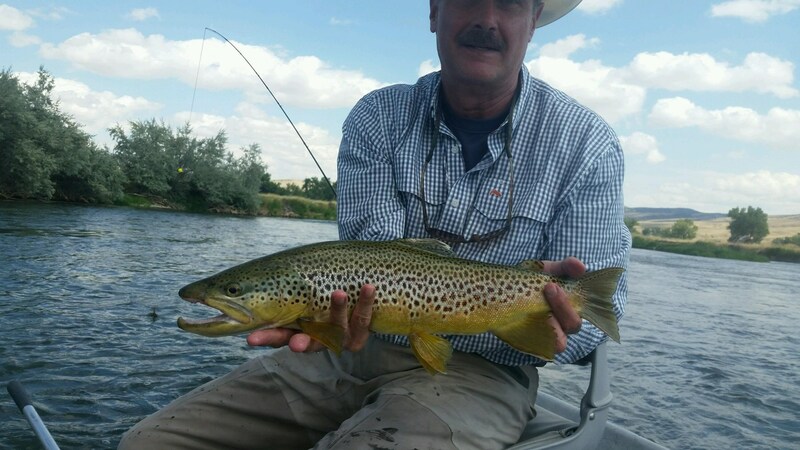 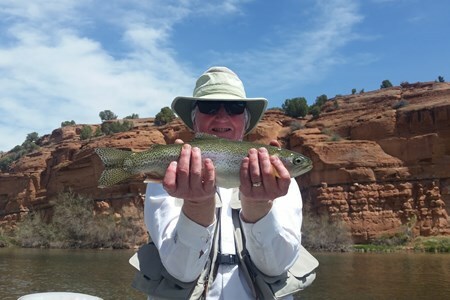 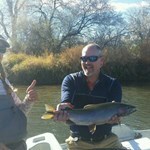 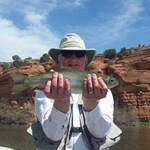 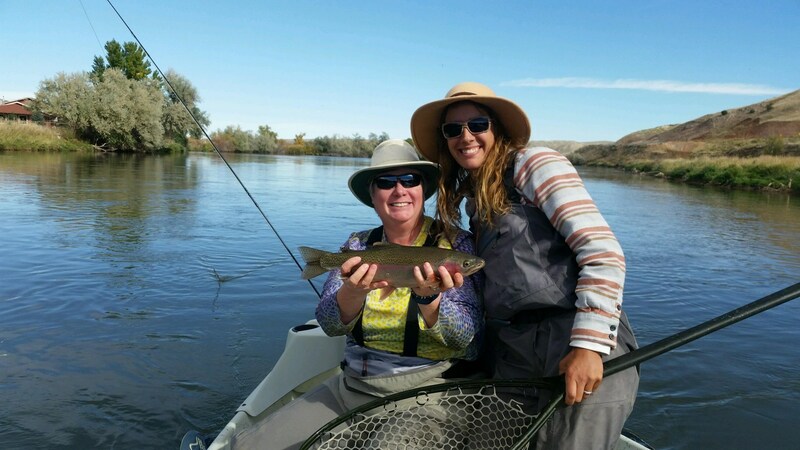 The river fishes well in all seasons, and as we live right here in Thermopolis, we offer guided trips year round. 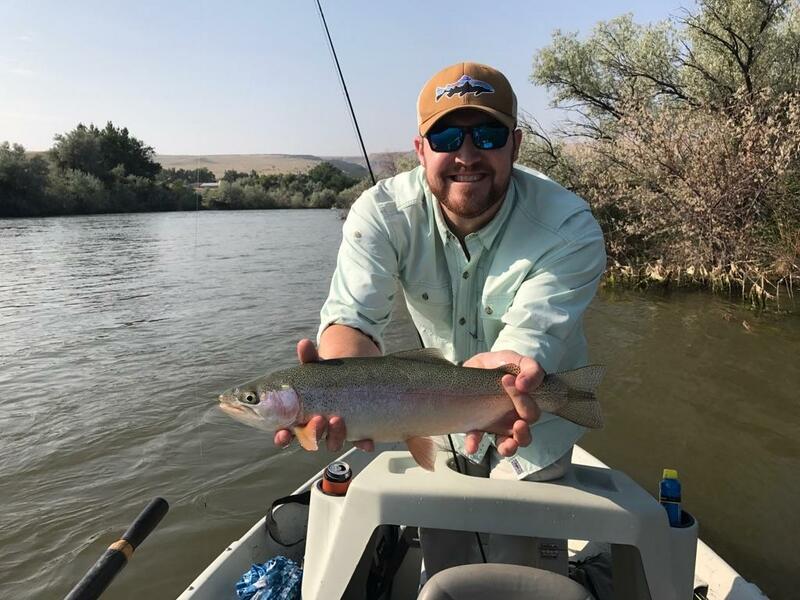 A guided float trip is the best way to get the most out of this section of the Big Horn - due to water laws and private ownership, much of the river is not open to anchoring and wading. 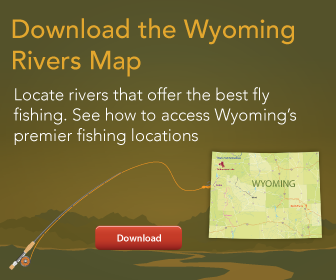 That being said, there are some spots where you could get out of the boat and wade fish if this is of interest to you. 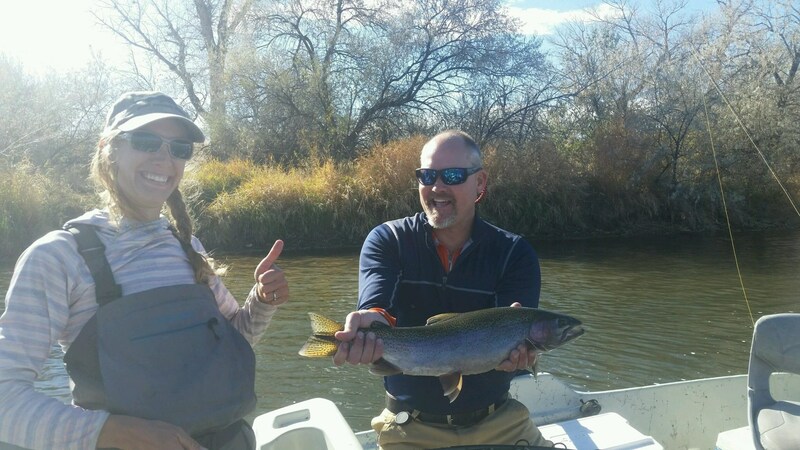 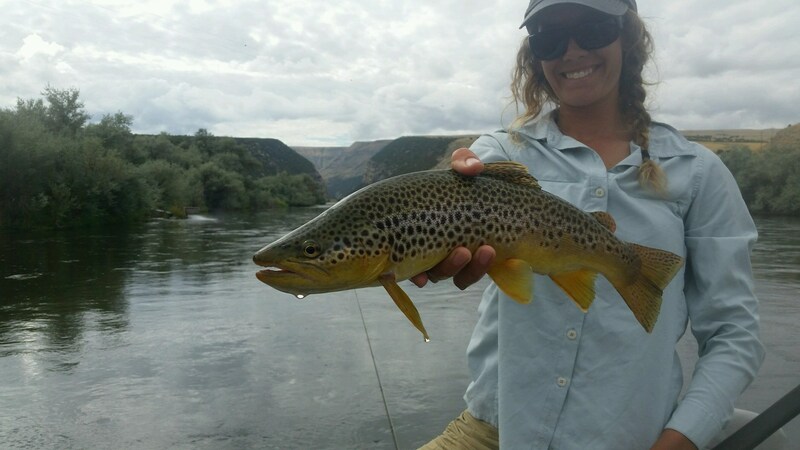 We invite you to come experience some of the best fishing Wyoming has to offer with one of the fishiest husband & wife teams in the West.